I pretty much take photos every day.... I usually upload them to Flickr and Facebook. Maybe I will try and post them online here as a daily upload too?! Maybe you can help me title the photos too - I am useless at it…. Surprisingly I have a few "extra" shots from this month - despite feeling like I didn't manage to get out much! A trip to Berry Springs, Holmes Jungle Nature Park (in Darwin's suburbs) and a few sunrise jaunts meant I could get my photo-fix in, a little! I have been meaning to announce this for a while - but time kept getting away from me, and all of a sudden it's nearly time.... after ten months in the making! My first Coffee Table Book is due to be released next week!! Although I post daily to Facebook, my preferred "social network" site is Flickr. Flickr.com is all about photography, and photographers sharing their photos. It's not like Instagram, or Pintrest - I find there is so much more interaction and as a result, a wealth of knowledge stored in Flickr. If you are a photographer looking to learn - Flickr is definitely the place to be! 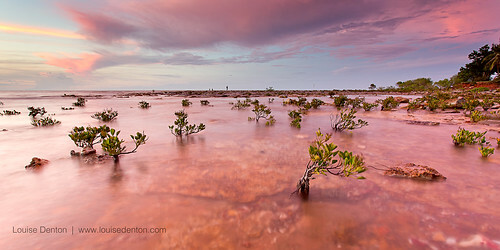 There are some awesome places in Darwin to photograph our landscape and wildlife - unfortunately quite a lot of time is required to check them all out and be able to do our varied and vast landscape justice! I have a few favourite local spots I visit regularly - some further away from Darwin's city than others. Darwin receives a lot of tourists and visitors every dry season, so I thought I would write about a few of my favourites in an attempt to help out future visitors with planning things to do in the area. I am a photographer, so most of where I would recommend are great for photography. Darwin is rich with a lot of other things - a varied food culture and history: a significance in World War II which surprised me and a fabulous array of indigenous culture. Anyone who is half interested in landscape photography will understand that sunrise and sunset are the best times for photographing the scene. Darwin is mostly best for sunset photography - there are not too many places where you can see the sunrise. One of my favourite places for sunrise is Buffalo Creek (near Lee Point). 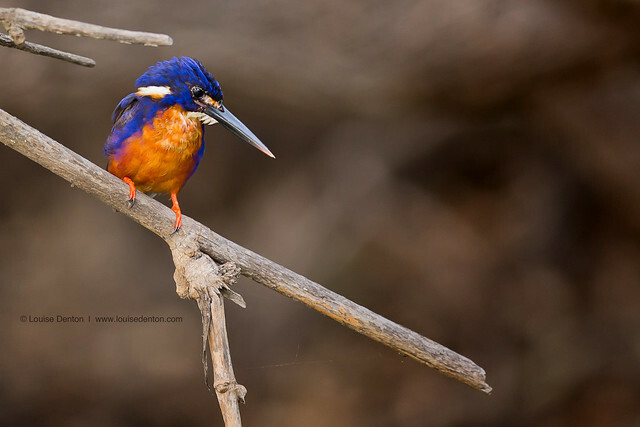 This is around a fifteen minute drive from the CBD and although there is not a whole mass of interesting landscape here, the creek is interesting and attracts an array of bird life. Watch out for crocodiles here, and check the tides.... Anything above a 6.5 metre high tide will leave you with a very limited area of sand to walk on. For sunset, you can't beat the variation and colour along Nightcliff Foreshore. 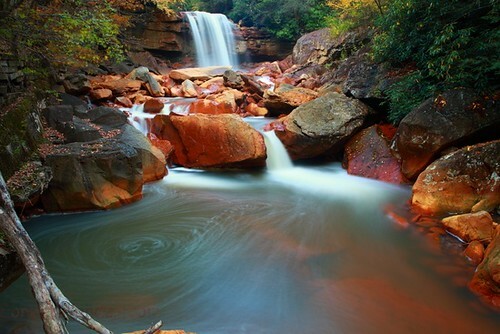 The cliffs are a fabulous shade of red, the rocks are flecked with orange, yellow and purple. There are mangroves, open expanses of beach, rock pools, pandanus and of course the ol' favourite Nightcliff Jetty! There are barbeques and on weekends food/drink outlets so you can watch the sun go down with family. From a photography perspective, there are so many nooks and crannies to explore. Another awesome and varied location is East Point Reserve. Fabulous mangroves, perfect vantage point to the city as well as a perfect viewing platform for storms passing through the harbour (Oct-May). Litchfield National Park (1-2 day trip) and Kakadu National Park (2-infinite number of days trip) are must see trips from outside of Darwin, but there are some fabulous lesser known hideaways along the way. And when the skies deliver, is a great place to soak in the sunset! 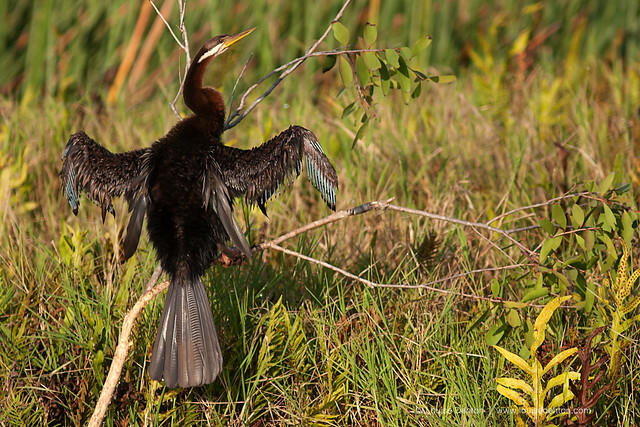 Corroboree Billabong is a beautiful wetland habitat - abundant bird life and crocodiles amongst tranquil waters. I could go on... Darwin is filled with perfect landscape photographic opportunity! If you have any great locations or photography things to do in Darwin, let me know by leaving a comment below! As some of you are now aware, I am conducting local photo tours in the area - taking groups of photographers (beginners - intermediate), out around my favourite locations. I'll be sharing my knowledge, techniques and ideas. I know what level the tides need to be at for the best locations, and I can show you where they are! 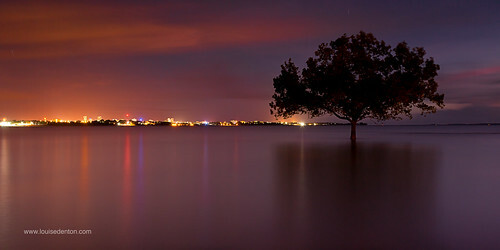 If you are interested in joining me in Darwin, check out my upcoming photography itineraries here - Darwin Photo Tours. Private tours (1 - 3 people) are also available - Contact me for ideas, dates and pricing. I've visited Kakadu quite a few times over the last few years, but I don't think I'll ever get bored of exploring the area and taking photos! I recently traveled out to the park because Jim Jim Falls had just opened for the dry season. Despite seeing the "falls" three times, I've never seen it flowing due to visiting too late in the dry season. So this trip was all about the "stone country" region, the region of Kakadu characterised by red, sandstone escarpment and gorges. Jim Jim is the tallest falls accessible in Kakadu - a 200 metre high escarpment - which in the wet season is a spectacular, fast-flowing flood of water. As this falls is not spring-fed and only rain-fed, it dries up late in the dry season. Unfortunately in the wet season, when the falls are at their most impressive, road and walking access become impossible due to the amount of rain that floods the region. I'm hoping to do a scenic helicopter flight next season, but for now I was very happy with the amount of water still flowing from the escarpment. We arrived at Garnamarr campground around 4pm, set up camp and headed straight down the 4WD track to check out the falls and escarpment in the sunset light. I wasn't disappointed! The gorge-like landscape is stunning, and I was surprised to see so much water still flowing. The light got better and better as the sun dipped below the hills behind me. The light seemed to be most evenly spread after the sun had gone down, and the escarpment country glowed bright red. The below photo is a composition of 3 photos, to even out the exposure in some dark shadows and too-bright-highlights. The main photo was taken at ISO 100, f13 and 4 seconds, with an area of bright sky above the cliffs brushed in, and the area on the left with the darker trees brushed in too. We also visited the falls the next morning too, to check out the light. The escarpment did not appear to glow as red, but it was still spectacular in a different way: hazy and mystical - well worth the early (cold!) morning. The next afternoon we headed to Maguk - a waterfall I was convinced we had previously visited, but on arrival we realised we hadn't! The time we visited was not ideal for photography as the light was harsh around midday, but I think the falls itself would be very difficult to photograph at either sunrise or sunset due to it's position. The walk to Maguk pool was lovely too, following a creek up to the falls. The creek and backdrop of red, rocky hills would make for some great landscape photography at a better time for light (although I would have to revisit to figure out what that time would be!). We headed to Gunlom waterfall to camp and stay the night. This place is one of my favourite places to swim - the steep walk to the top of the falls is well worth it! Walkers are greeted with a series of natural rock pools, which end in nature's own infinity pool, looking out in to the vast open landscape of Kakadu. Unfortunately, this time we did not have time to venture to the top of Gunlom waterfall. Instead, I explored the bottom pools, and photographed the very small trickle left over from the wet seasons rain. The falls were only a trickle, but luckily there were a few other interesting areas to keep me occupied with the camera! My partner and I are thinking about revisiting again for another quick visit to Kakadu next week! I love getting out there, just wish I could spend longer. The next trip we will probably take the boat, so I can try my hand at some more bird/wildlife shots on Yellow Waters. 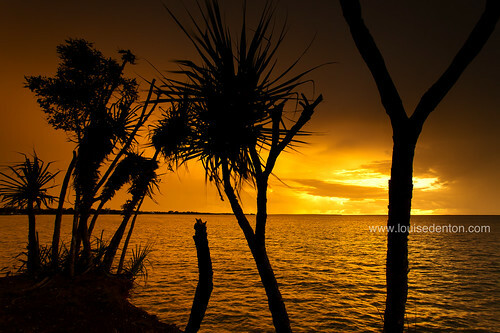 I could already do a long photo essay on Yellow Waters - it's probably my favourite place to relax in the Top End. For those of you who follow me on Facebook, you probably guessed that I was going to start offering Photowalks to budding photographers in the area! 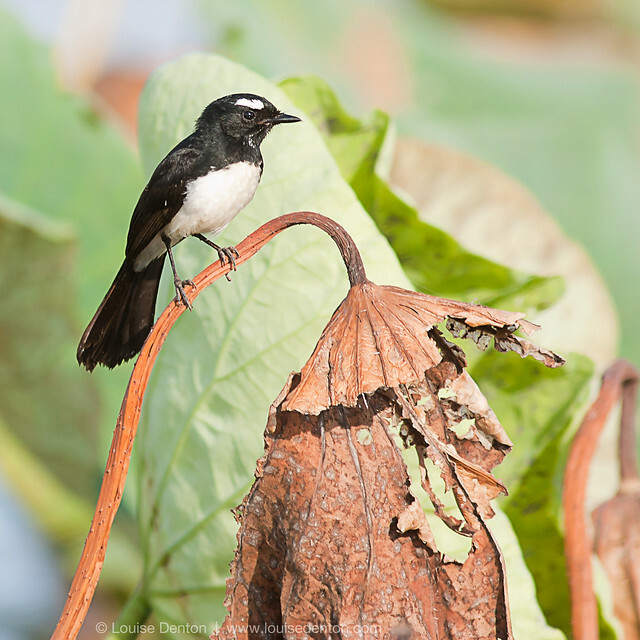 For the first Darwin Photo Tour, I will be giving away 8 places for my launch competition!!! Keep reading for details on how to win! 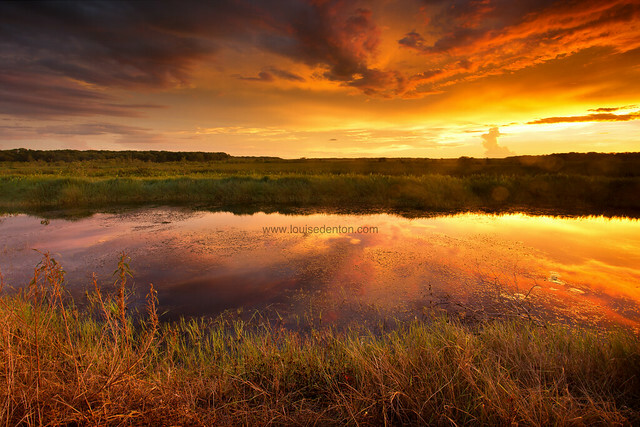 What are Darwin Photo Tours? 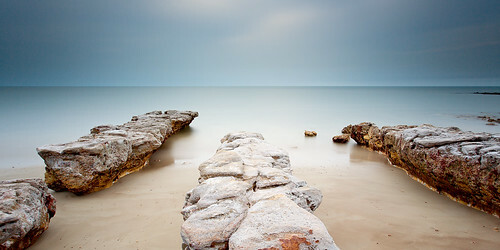 Darwin Photo Tours are exactly that - visiting locations around Darwin that are great for landscape photos! I specialise in seascape photos, and also in other Darwin landscape photography, nature and wildlife photography. So, if you think you might be interested in finding some great locations in and around Darwin and the Top End, the photo tours could be for you! It's not all about the location alone, of course. And it's not just about having a good camera. You've got to be able to use it! That's where I come in. I will be giving guidance on how to take better landscape and seascape photos. The answers to any questions you have! Groups on my photo tours are limited to 8 people, so there will be time for me to get around to everyone individually, as well as talk to the group. And it's not just me you can learn from. These walking tours will be full of other people who love to take photos, a great place to share ideas, tips and knowledge. Upcoming itineraries are still being finalised, and dates are to be confirmed. 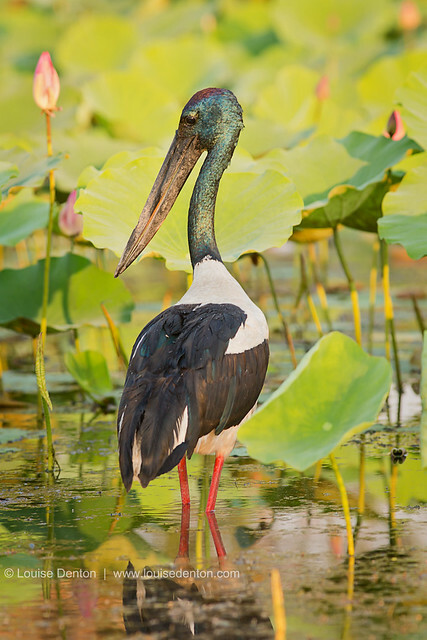 Locations will be Darwin beaches and parks, covering seascape, landscape and nature photography, including birds, flowers and other local fauna. We are lucky that Darwin is a very green city, with lots of great scenery to explore. 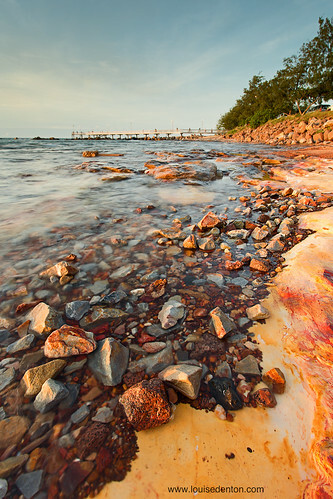 East Point, Mindil Beach, Casuarina Beach and my favourite, Nightcliff Foreshore. Tours are set to begin on a regular basis at the start of July with a couple of close-to-Darwin sunset/parks sessions. Some tours will offer a pick up minibus service, for those visiting Darwin or those without their own transport. Within a few weeks, the groups will be venturing further out of town to some popular, and some lesser known locations outside of town. Day trips and eventually two day workshops will also be offered. Stay tuned to this blog and to my Portfolio Website to keep up to date with new itineraries released. You will also be able to book (and purchase) online from my portfolio website. Well, how can I win a tour?! 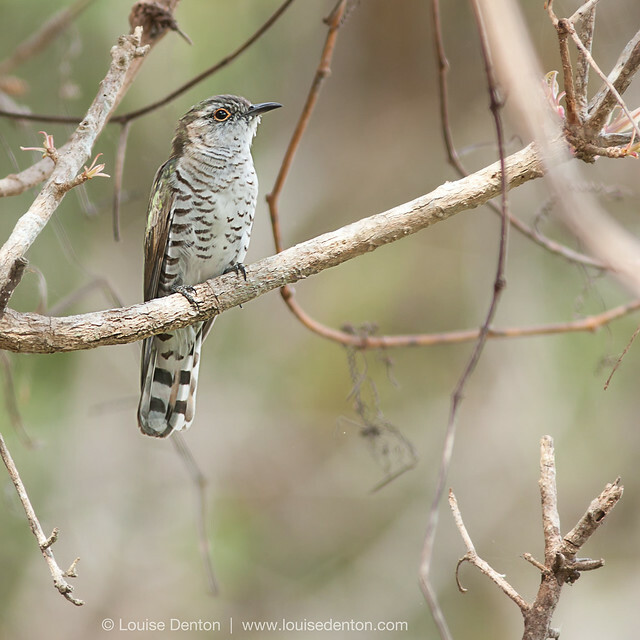 The first ever Louise Denton Darwin Photo Tour is planned for Monday 24th June. It is a late afternoon/evening outing (so you can come along after work!). I'll run through the basics of how to use your camera for the magic "golden hour" of light, in to sunset and blue hour. We will also get the chance to use my favourite long exposures (I just posted a blog about them, check it out). We'll be checking out one of my favourite areas along Nightcliff Foreshore. Go to the Contact form and send me your name! That's it. Each name will be entered in to the draw once, and the winners will be randomly selected. Competition closes on the Friday 21st June. There are 8 places available. Prize is only valid on the 24th June 2013, not transferable to any other Photo Tour at a later date. Winners will be notified by email and also be sent an itinerary/details of meeting place. There are a lot of people out there who wish they knew more about taking great photos - please share this blog with any friends you think might be interested!! A camera (d'uh). Any cameras are welcome, but a DSLR is preferable. A smile and a creative mind! This is a brand new service I am offering to people who want to learn more about their camera, and interact with other photographers. They are a great opportunity for people visiting Darwin on holiday, to find great photographic locations without the trouble of finding them! Let me know what you think - leave a comment below with any questions and ideas. Or, contact me on my Facebook Page. One of the most asked questions about my photography in my stall is "are these photoshopped?" The answer is yes and no. No - the photographs I display in my stall are not "photoshopped" to appear surreal or fake. The colours are not pushed to the extreme, the rainbows really were in the scene - I didn't add them in. The magpie goose really did fly in front of the eclipse at the right time, yes the lightning was real and yes that flock of birds really was that big. The scenes as I hang in my stall are 100% a real scene, and between 95% and 100% true to the Straight Out Of the Camera (SOOC) shot. The above photo of the magpie goose has been cropped to about three-quarters of the original shot, to position the bird and the sun in a better portion of the photo. I would be lying if I said I didn't "photoshop" my photos. All pro photographers use editing software in some way. They would be lying if they said they didn't! I think there is a difference in the way we can even speak the word "photoshop". For me, when someone says "that photo is photoshopped" - it implies the photograph isn't real and is manipulated, to completely alter the scene. In my photographs, I would never refer to them as being "photoshopped". Instead, a less insulting way to use the word is "they use photoshop on their images". And that is true. I do! Recently, I heard about quite a famous Australian Pro photographer who keeps a stock of files to use in new images. For example, a sky with interesting clouds, or a cloud-less sky, or rainbows etc - so that if a new photo is taken that is lacking this, it can be layered in to the new photo. So you can add in a perfect cloudless sky, or a rainbow, etc. I don't do this, and I don't really agree with it either. To me, being a landscape photographer is about showcasing nature - i.e. the natural sight. If that rainbow or perfect sky isn't there, you have to revisit the location on another day. This blog is just a quick introduction to explain what photo-shopping usually is to photographers, and to illustrate how I (and many other photographers) use photoshop. For those people who are familiar with Photoshop, I use CS5 and it comes with a package called Camera RAW. Camera RAW is software to process the RAW files, before transferring them in to photoshop. When you take photos on a normal camera, the files you then transfer to your computer are typically JPEG files. DSLRs do take JPEG files as well, but you can also choose to record your image as a RAW file type instead. As a photographer, this is a much, MUCH better way to record images. If you are a photographer, and you edit your photos digitally but still shoot in JPEG then stop - switch to RAW! RAW files are exactly that - they are the raw file format. A lot of people don't realise that when shooting in JPEG, the camera actually makes changes to your photo in camera. It can create more even exposures, it boosts the contrast, saturation and sharpness for you - in the camera. Most people who use a camera, do not want to sit at a computer making their photos look nice and "as the scene was" - the camera does it to your JPEGs. RAW files on the other hand, are RAW. The camera makes absolutely no adjustment to the photo whatsoever. A lot of people who make the jump to RAW might notice a decrease in contrast and saturation of colours in their photos. However, this is where post-processing comes in. Post-processing refers to the processing you do to a photo after it has been taken and stored on your memory card. I.e. the processing you do on the computer. There are many programs to do this, and one of the best known (and the one I use) is Photoshop. RAW files need processing on the computer. They can be flat and need to have that "JPEG" style treatment done to them. The difference is that as the photographer and editter (new word?! ), you can control how your photograph looks by doing it yourself. RAW files are a much larger file: each of my photographs is around 22MB off the camera and when editing and stitching photos, it's not uncommon to go over 100MB or even 200MB for one file. RAW files give much more flexibility with how you can edit your photos, because there is no JPEG information stored in the file. The photo is a clean slate. I recently returned to JPEG files for a few photos, just to try to edit them and see how it worked. You do not get as much capability to change the photo, as there is already information there in the JPEG file that you have to write over with your extra editing. RAW files give much more flexibility to adjust colour balance for example, if you choose the incorrect white-balance setting in camera you can easily adjust it by editing a RAW file. This is not so easy to adjust with a JPEG file. Anyway, I am getting side tracked.... Use RAW files! So, what do I change in my photos? The answer is "not a lot". I tend to "tweak" and "adjust" as opposed to "change". I tend to do the exact same thing every time. Then I open the file in Photoshop, I use version CS5. There is not too much left that I normally do, and it depends on the picture. Sharpen, selectively, on the area that is my focal point. Adjust white balance, for example increasing the levels of yellow in the golden highlights or removing blue/green from the shadows. Enhance the areas of the sky to compliment the foreground, for example reduce the contrast in the clouds to add a bit more drama or boost the magenta in the magenta area of sky. Usually an overall contrast adjustment to give the image more pop. As it does depend on the photo, I will illustrate below with an example so you can see the transition and tiny changes I make between SOOC and completed edit. Below is a RAW file, that I have opened in Camera RAW, purely to save it as a JPEG file for uploading here. This is the SOOC photograph, except for correcting the curve of the horizon. Next step was to open in Photoshop. 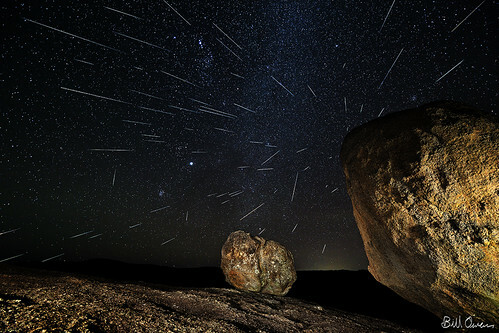 The below photo has been cropped to a more panoramic style composition, which I felt flattered the shape of the rocks more and eliminated much of the dark sky. I also added a watermark and sharpened the rocks. The next step was to enhance the golden light shining on the rocks. I then adjusted the contrast throughout the picture by using a "levels" layer. This gives control over the levels of black and white in the histogram of that particular photo. Sometimes, because the sky is quite a bit brighter than the foreground and often a different colour, it can be good to make adjustments to areas, selectively. I.e. just the sky, or just the rocks. In this particular image, I adjusted the contrast in the sky by itself as well. I'd be interested to hear what you think..... Too much editing? Not enough?! I'll be sharing more in-depth explanations of how you can use particular layers in Photoshop. My knowledge is limited - there is SO much you can do in Photoshop. However, if you like my images I am happy to share what I do, to create what I create. I often run promotions at my market stall, but up until now have not had an online platform to promote the same. With the advent of my new blog, I can provide more information to my Facebook, Flickr and other online followers! Mindil Beach markets, where I am based, sees thousands of visitors a night - a lot of them visitors to the area. A lot of the visitors to my stall comment that getting the photo home, in a suitcase, could be tricky. I do offer a bubble wrap and packaging for those people who want to take their photos with them. For the next month (until the 30th June), I will be offering discounted shipping for my larger framed prints! My current special is my 16x20" framed photos (100% ready to hang), packaged and delivered via courier to your door, for $150! For the first time ever, I will be offering my "market specials" online to my interstate followers! Select the 16x20" size (or 20" size for the panoramic option), with your choice of frame and either white or black matboard surround. If you have any questions, or problems, get in touch here. I can organise for an invoice to be sent, or payments over the phone with a credit card, if you prefer. 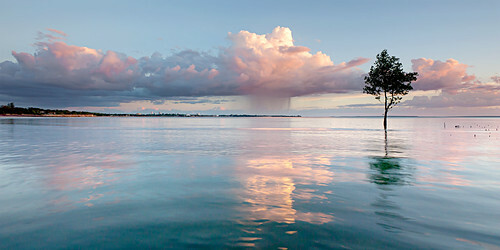 I keep a wide range of my Darwin landscape photography prints in this size; including the much-loved Darwin sunsets, seascapes, beaches, wildlife and popular locations around Darwin and the Top End, like images from Litchfield and Kakadu National Parks. 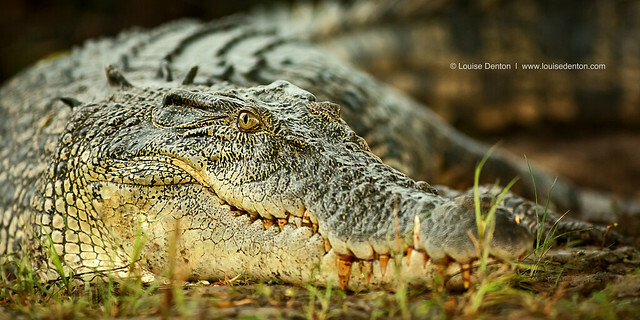 If an image you like is not currently in stock or on my website, that's fine - just send me a message either on my Facebook page or via my Louise Denton photography website. Basically, I want a platform to share photography and ideas with on a regular basis. When I store my photos on my computer, I file them by date and I have a file for every single day of the year. There are a LOT of photos that I do not post or even look at, because another one or two photos from that day are "better". I want a platform to share the "unseen" photography, or to share photography from a trip, and to share photography from others, share other blogs. I think this blog will fulfill that. My passion is the ocean, and the sunsets that go with it, here. So what better way to start than to share my favourite sunset photos from Darwin, over the last twelve months or so? These are all photographs that I have taken myself, found at Louise Denton Photography. 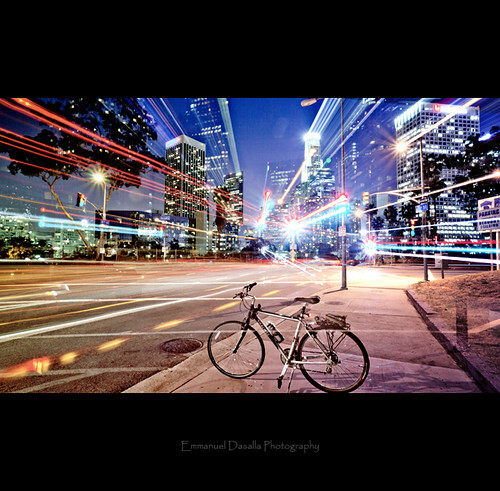 Some of my images are custom, panoramic sizes too. As you can probably see, I like trees! I love just getting outdoors: the Territory is a perfect place for it. What colours are your favourite? I love the reds and purples, but have found most people really like the blues and calmer colours. Darwin wet season sunsets can be unpredictable - sometimes bright and sometimes very calm. I think these photos summarise what my work is about! If you simply like landscape photography, sunsets and beaches to look at, you can subscribe to this blog. If you live in Darwin and want to see great photos from our area, you can subscribe. If you are interested in photography, or learning to take photos - subscribe, as I can share tips, ideas and discuss ways to do things. At the moment, I am researching in to types of torches best for light painting. I want to visit so many places in the Top End - you can follow this blog to follow my journey. And this can be a place to share ideas - you can comment on my blogs. Before the year is out, I am planning another trip to Kakadu, a trip to Uluru and the Red Centre, via the Devil's Marbles. If I get time, I would LOVE to go through Arnhem land to the Cobourg Peninsular. If anyone has been to these places, share ideas and locations and I can share them back with you! If you are visiting Darwin, I will be talking about great places to see and go, and events upcoming in the area.